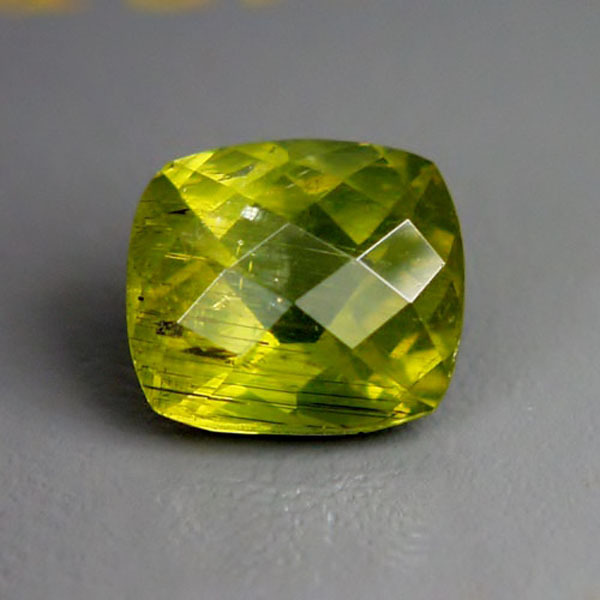 Cut: Well cut checkerboard cushion shape. 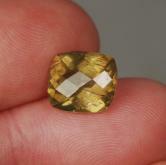 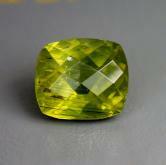 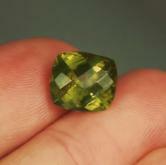 Note: Mined in Merelani near the Tanzanite mines and originally thought to be a new type of Clinozoisite-Epidote. 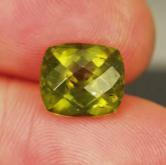 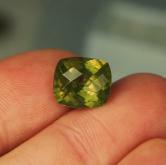 Further examination proved it to be rare Vesuvianite or Idocrase! 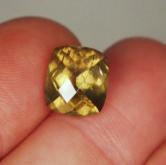 This is a well cut rare collectors gem with strong color shift.